Burundi is one of the poorest countries in Africa. The country is marked by conflicts and instability; almost 80% of the population lives in poverty. It is the legacy of a civil war that broke out in 1993 which caused hundreds of thousands of lives. It wasn’t until 2006 the war came to an end when warring parties signed a peace agreement. Despite the peace agreement, the situation in Burundi remains fragile. President Nkurunziza's decision to stand for election in April 2015 for a third, and with that unconstitutional, tenure resulted in a military coup. This failed but signalled the start of a wave of violence that plunged the country into a deep crisis. 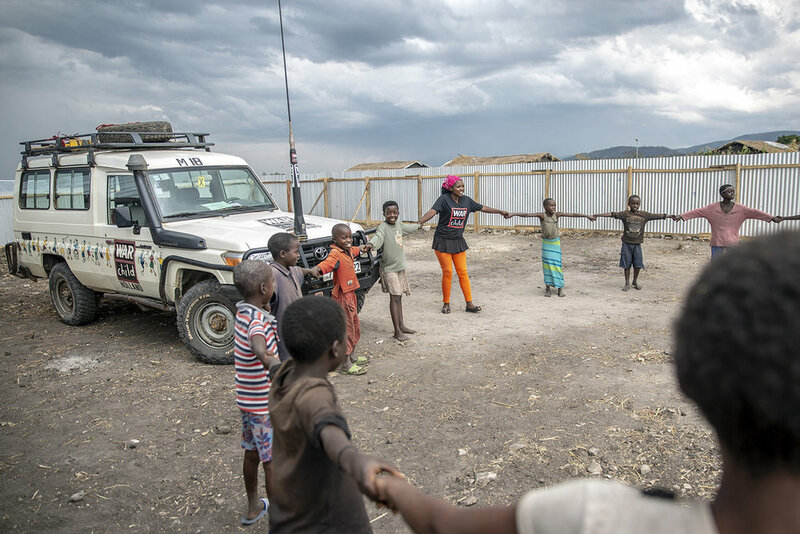 Since 2015 almost 400,000 Burundians have found a safe haven in surrounding countries; more than 46,000 of them fled to the Democratic Republic of Congo where they find shelter in refugee camps. More than half of these refugees are under the age of 18. Samuel is seven years old when armed men came to his house one night. His father was forced to lay down on the floor and threatened with a knife. Samuel sees it unfold in front of his eyes and the events of that night leave him with difficulty: "The rest of us were very afraid. We all ran away - my mother, brother and sisters. We were hiding when our father later found us. The mob had stripped him of his clothes," he says with tears in his eyes. The family fled to neighbouring Congo. Mother Jeanne: "I was terribly afraid that if we stayed in Burundi they would kill us and the children." For six months they have been living in a refugee camp without running water and electricity and where food is rationed. This is not a place where children should grow up. Jeanne: "I have four children, two boys and two girls. We are safe here but do not have anything else. My children are scared and sometimes have nightmares." 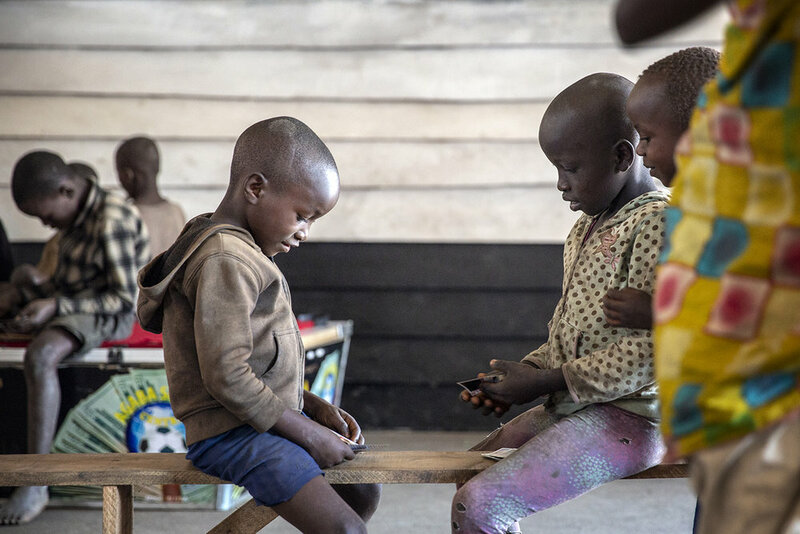 War Child organises recreational activities in the refugee camp and via its I DEAL programme offers psychosocial support to children like Samuel. We do this in our Safe Spaces – a safe place where can be and play without fear. 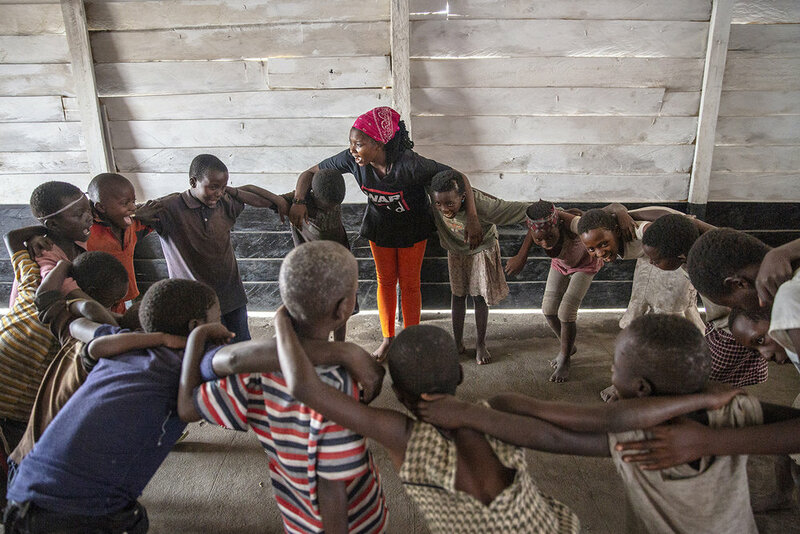 Through playful methods they learn here to deal with adversity and how to resolve conflicts without violence. Dance and music ensure fun, positive energy and a deeper friendship. Jeanne: "Because of the things he learns at War Child and because he plays with other children, he can slowly process past events. It changes him. Previously, he was very angry and retreated. But he has learned to open up. I see a happier child again." She sleeps on a thin mat on the floor in a large white tent she shares with dozens of other refugees. There are holes in her mosquito net. 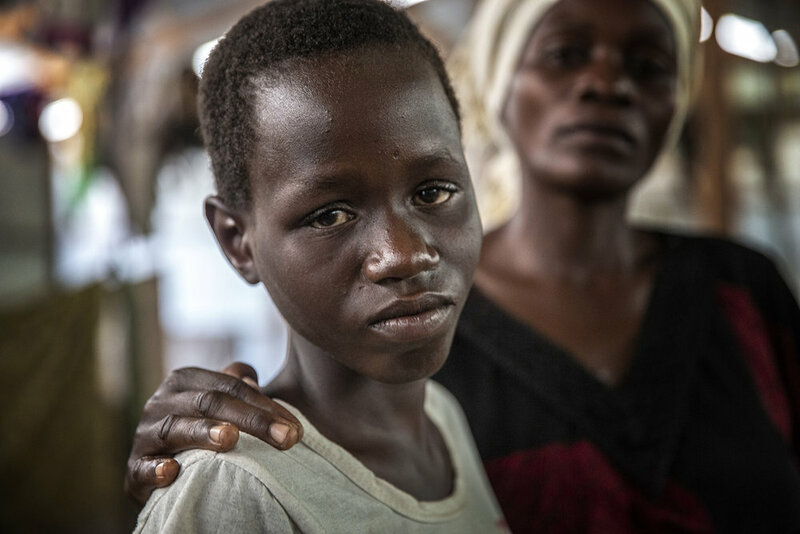 The girl’s name is Nina and she is one of the more than 46,000 refugees who fled the violence in Burundi and found a safe haven in neighbouring DR Congo. "When we lived in Burundi, men came looking for my father. They wanted to kill him and they took him away. We don’t know where he is now. My mother was scared something would happen to us too - so we escaped to DR Congo." She says. The drawing she makes of her family illustrates her deprivation. She draws her father as a big and strong man, someone who was sweet and caring she reminisces about him. "He always made sure we had clothes, shoes, pens and notebooks and that we could go to school." She misses him and talking about him makes her sad. Life in the refugee camp is hard. Mother Joselina: "My children are not happy here. We do not have enough to eat, and they often ask where their father is." A question she does not have the anwer to. "They often wake up from nightmares." Several times a week Nina visits War Child's Safe Space together with her friends. 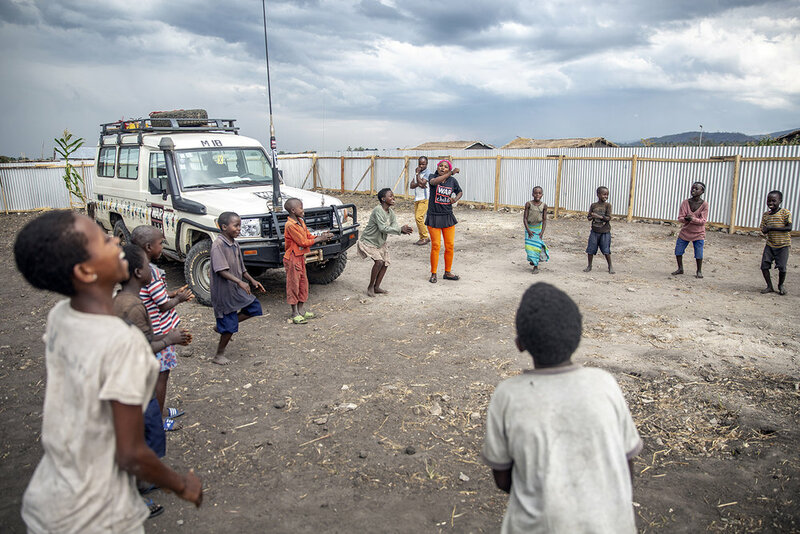 Here she plays with other children and she learns traditional Burundian dance. 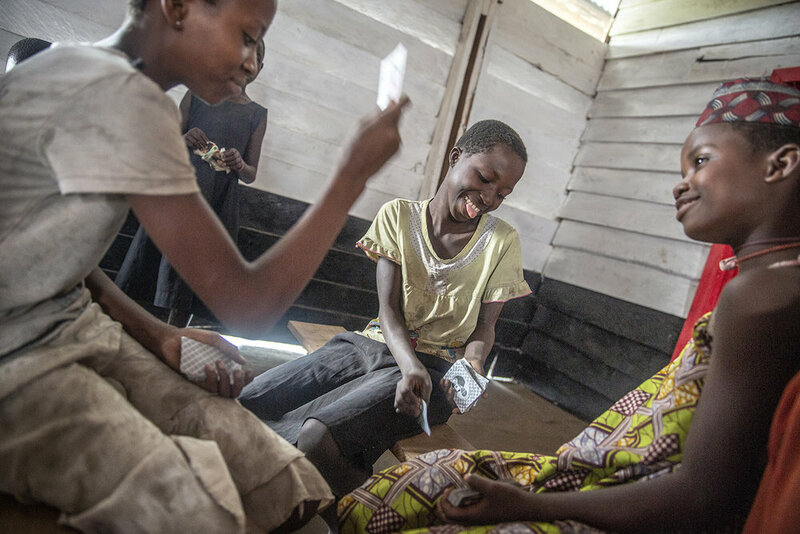 For a moment she can forget she no longer lives in Burundi but in a refugee camp. For a moment she can just be a child again. “I always feel good when I go to War Child. I learn new things and hear nice stories. It helps me to forget what happened." Through creative activities, by offering psychosocial support and by talking about what happened, they slowly start to process past events and their self-confidence grows. Slowly she begins to regain confidence in a better future.